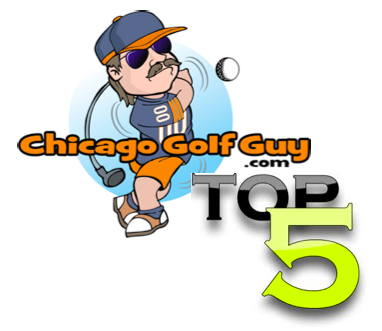 The Chicago Golf Guy March 30, 2012 Chicago Golf Guy's 2 Cents, Just Golf Stuff! I have not actually watched an episode yet, but Down the Stretch has been invading my Tivo for about three or four weeks (however long the show has been running). I like the idea of seeing the players come down the stretch prior to the outcome of the Tournament. Then to see the behind the scenes of what the victors do after they have won is pretty cool. I am a firm believer that the PGA Tour and professional golf in general has to appeal more to the general public. I am a huge fan of golf, and I watch golf on TV every week (surprisingly I even blog about it). But golf in general is in a downward slide. Less and less people are playing golf each year, and the worst part is that most golfers are not die hard PGA Tour fans. They don’t watch it on TV, or always ready about it. Sure they watch the majors, and possibly the bigger tournaments like The Players, and a few other key events. But if we as golfers don’t start spending time enjoying the game off the course as well as on, we may lose something that is so special to all of us. I hate to think of my kids (which I don’t have yet, but will eventually) will not get to chip and putt at our local course or club and dream about beating the Tiger Woods of their day. With no golf on TV who will set the stage for golf. Next Even Dustin Johnson is willing to play from a shorter tee box, why shouldn’t you?